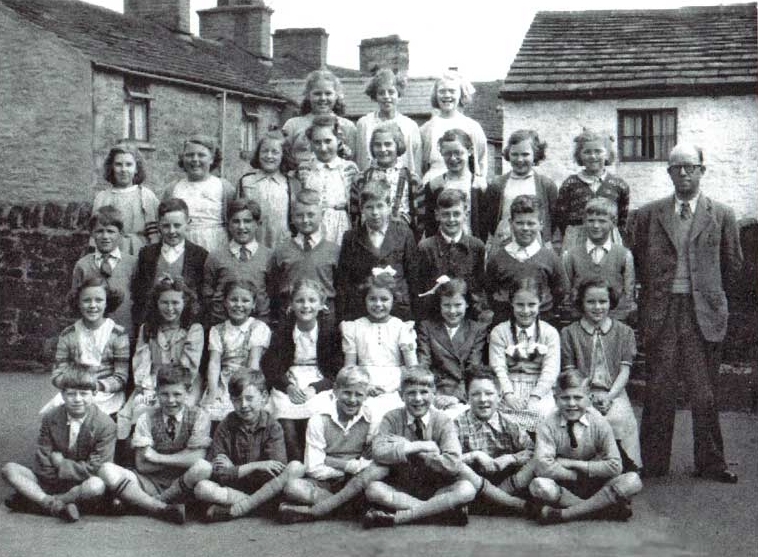 The photo id for this photograph is 74, in the Schools album. Front A Longden,un,J Fletcher,P Oldham, H Andrews,F Smith,J Bailey. 2nd 4th V Jones,7th B Brookes. 5th row 3rd M Brocklehurst.